To this day, it is my firm belief that the impressive progress and much success of Davao City over the years and all the other unique qualities that make Davao City what it is today is largely due to the strong and benevolent leadership of none other than its former mayor, The Honorable Rodrigo R. Duterte, (now vice-mayor), and equally the peace-loving disciplined Dabawenyos who faithfully support him and for whom Duterte has dedicated his entire life as the city's most loyal public servant. 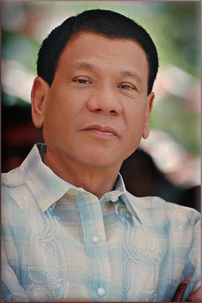 Born Rodrigo Roa Duterte on March 28, 1945 at Maasin, Leyte, to parents, Vicente G. Duterte and Soledad R. Duterte, public service is not something entirely new to him; his father (now deceased) was Governor of Davao in the 1950s, and his mother, who is fondly called, "Nanay Soleng", was a school teacher and a civic leader who once headed former President Corazon Cojuangco-Aquino's "Yellow Friday Movement" and the regionalized peace process with the communists in the 1980s. Duterte was just like any other kid according to Nanay Soleng but adventurous in ways that other kids would not even dare or venture into. He was always out of the house looking for some action elsewhere. When Duterte was a young teenager at age 14, he piloted a small plane hovering about the neighborhood to the consternation of his parents. He was such a problem child that his father exiled him to Digos, Davao del Sur, where he finished high school in Holy Cross of Digos in 1966. Duterte graduated law at San Beda College in Manila under Class 1972, and passed the bar examination in the same year. He then had a short stint as lecturer on Criminal Law, Criminal Evidence and Criminal Procedure at the Philippine National Police Academy Regional Training Center XI before joining the government as prosecutor at the Davao City Prosecution Office from 1977 to 1986. He was then appointed officer-in-charge (OIC) vice mayor and had served as special counsel where he prosecuted cases involving police and military personnel, including subversion and rebellion cases filed against alleged members of the New People's Army (NPA), until he became assistant fiscal after the 1986 EDSA Revolution in Manila - a popular non-violent uprising known as "People Power Revolution" (February 22-25, 1986) that overthrew the 20-year dictatorship of President Ferdinand E. Marcos and installed Mrs. Corazon C. Aquino as President, mother of now incumbent President Benigno Simeon "Noynoy" C. Aquino III. Even while Martial Law was still in effect in the entire country at that time, Duterte was known to be fearless, recommending prosecution of abusive police and military personnel. He is never afraid of criminals. He was even known to have kicked a man in the chest inside the court room which landed him in jail. In 1988, Duterte ran for mayor and won. Since then, he never lost an election bid. As mayor, he not only ran after criminals in the city, but was instrumental in uniting the different tribes and cultures in Davao, as well as the other political groups. He designated deputy mayors that represented the Lumads and Moro in the city government, a first in the country which was later copied in other parts of the country. He was reelected mayor in 1992 and 1995. In 1998, he ran for the House of Representatives and won as Congressman for the 1st District of Davao City until 2001. In 2001, he ran again for mayor in Davao and was again elected for his fourth term. He was reelected in 2004 and in 2007. He is currently the vice mayor of Davao City, with his daughter Sarah "Inday" Duterte-Carpio taking his place as mayor. "Digong", as his closest friends call him, or "Rody", or simply, "Duterte", may have ruled Davao City with what some call "iron-fist", and rid the city of criminals. 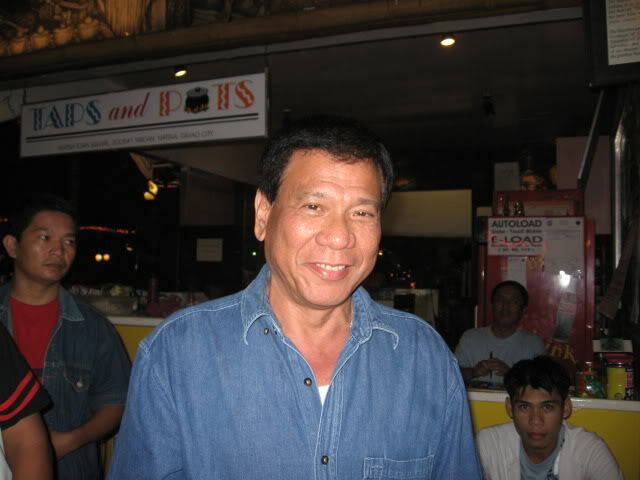 His hatred for criminals changed Davao City; from the "Murder Capital of the Philippines" to the "One of the Most Peaceful Cities in the Philippines". 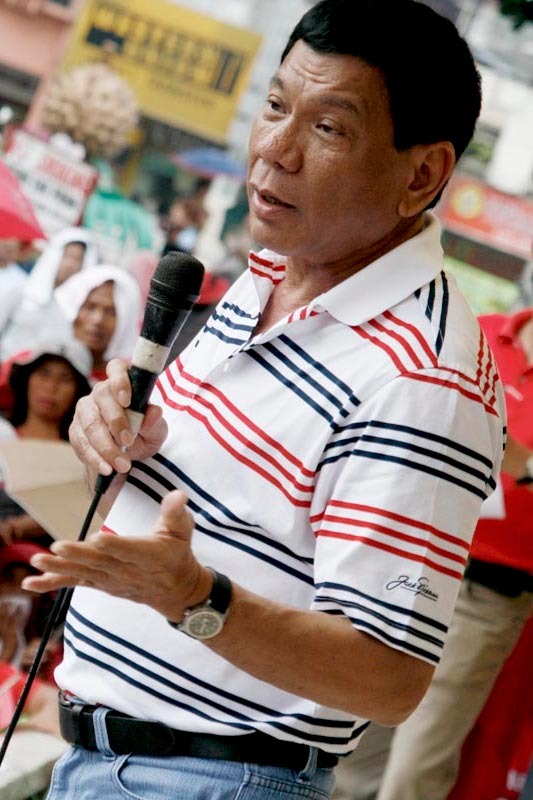 Under his leadership, Davao earned a string of awards, both local and international, year after year. Duterte, who has been nicknamed "The Punisher" by Time magazine, has been criticized by human rights groups and by Amnesty International for tolerating extrajudicial killings of corrupt officials and criminals, but unknown to many, deeply hidden behind all the tough persona lies a kindhearted man with an ever soft spot for the poor, whose plight he has always championed. His effectively governance has not only brought prestige, and honor, but also the much needed investments to the city which now provide numerous jobs to all Dabawenyos. Duterte has also implemented landmark laws and city ordinances being the ever first mayor in the Philippines to enforce a city-wide ban on smoking in public places. He also banned the use of fireworks in the city. He strictly implemented a policy that prohibits selling of alcoholic drinks from 2AM to 6AM. He also created the first and only 911 Emergency hotline in all of Asia - a search and rescue unit, and fire and medical emergency response teams for Davao City. In the annual survey made by Asiaweek on the 40 Best cities in Asia, Davao City has unfailingly made it to the top for four consecutive years (1996-1999). One of the Only Three Areas in the World to have the Integrated emergency Response System 911 as Top 25 Best Practices in the Philippines. Davao City is one of only three areas in world, after the United States and Canada to have the Integrated Emergency Response System 911, a fully computerized response system linking the people of the city to the emergency resources of the government. Davao City received an award for its Project 911 from the League of Cities in the Philippines in 2003, as one of the Top 25 Best Practices in the Philippines. Davao City received an award of excellence from the Office of the President as the 1st Runner-up in the Cleanest and Greenest Highly-Urbanized City in the Philippines-Gawad Pangulo sa Kapaligiran Awards 2004, and the second runner up for three consecutive years in 2001-2003. Davao City was awarded the Cleanest and Greenest City in 1999 for its clean and green program that focus on environmental rehabilitation, protection and conservation, intensification of solid waste management program, pollution control, re-greening of the urban areas, forest and watershed management. Davao City came out as the runaway choice for the coveted spot in the first-ever selection of the Most Child-Friendly City in the Philippines in 1988 and 1999 due to its local government’s programs and initiatives directly benefiting the children. It has also won nods for the initiative to pass a landmark legislation - the Davao City Children’s Welfare Code of 1994, the first of its kind in the country, specifically geared towards addressing the rights, services and protection of children, therefore upholding their welfare and interests in high regard. In 2002, Davao City was recognized as the Most Competitive City to do Business in the Philippines by the Asian Institute of Management (AIM) Policy Center and the Department of Trade and Industry in their assessment of Philippine Cities Competitiveness. In 2003, Davao was also chosen 3rd Most Competitive Metro City in the Philippine Cities Competitiveness ranking. The National Peace and Order Council of the National Police Commission placed Davao City in the Hall of Fame in 2004 for winning Best Peace and Order Council in Region XI for three consecutive years (1999-2002). It is recognition of Davao City’s sustained and exemplary accomplishments in implementing programs and projects of the Peace and Order Councils (POC’S) at various levels. The Department of Education hailed Davao City as the "Most Outstanding Local Government Unit in the 2005 National Literacy Awards”, all under the Highly Urbanized City Category. The National Nutrition Council of the Department of Agriculture awarded Davao City the "2004 Regional Green Banner" in recognition of the City Nutrition Committee’s exemplary performance in managing the nutrition program of the city, thereby contributing to the improvement of the nutritional status of its constituents. The Department of Finance, Bureau of Internal Revenue, Revenue Region 19, Revenue District No. 113, Davao City recognized the City Government for its invaluable support and contribution to RDO 113 as the "Top Government Withholding Agent" by making substantial tax payment - an act of patriotism worthy of recognition and commendation. 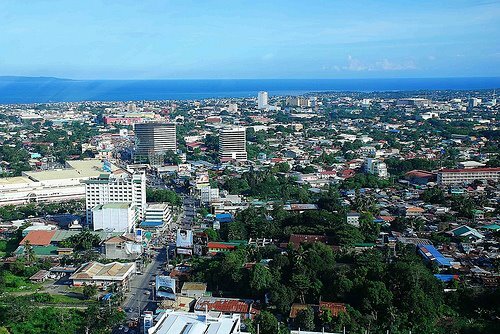 Davao City was chosen “Destination of the Year” by the Kalakbay Awards in 1997. The Davao City Chamber of Commerce and Industry, Inc. (DCCII) was bestowed the "Most Outstanding Chamber Award for 2005" . DCCII was likewise recognized as the "Best Chamber in the Asia-Pacific Region" during a selection held in New Delhi in 2005. The Kapisanan ng mga Brodkaster ng Pilipinas acknowledged its Davao City local chapter as the "Best KBP Chapter for 2004." It was once again given recognition for winning "2nd Place for the Best Local Chapter Report." In 2005, Davao City was launched as the second pilot area of the Clean Cities Program (CCP) implemented by the Sustainable Energy Development Program (SEDP), in partnership with the US Department of Energy (USDOE) and the US Agency for International Development (USAID). LONG LIVE DAVAO! 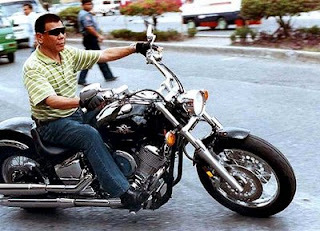 LONG LIVE MAYOR DUTERTE... I HOPE ALL MAYORS WILL FOLLOW YOUR LEADERSHIP. GOD BLESS YOU ARE THE BEST MODEL!